If you’re reading this, you were most likely disappointed with your recent LSAT score. You may be obsessing about how your score will affect your chances of admission at your dream schools or whether you will be able to attend law school at all. Take a deep breath and relax. Many lawyers and current law students missed the mark during their first LSAT administration and had to retake. Maybe you didn’t perfect your strategies due to a lack of preparation, maybe you lacked mental stamina because you didn’t complete enough LSAT PrepTests, maybe your performance dropped due to distractions or nerves that you didn’t account for in your practice tests, or maybe you simply had an off day. 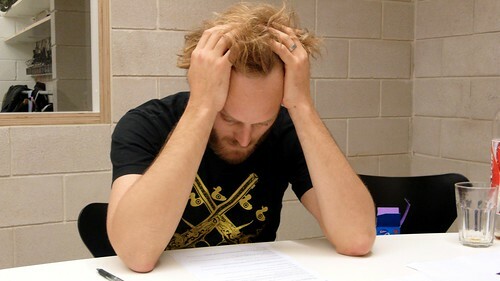 Whatever the reason was, the tips below will help you diagnose and treat your LSAT woes. LSAC LSAT/GPA Calculator: Click UGPA/LSAT Search. After entering your LSAT score and GPA, you will be given a percentage which represents your chance of admission at each law school. Keep in mind that this is merely a rough calculation that doesn’t take into account any other factors besides LSAT score and GPA. Having said that, it is still a highly useful tool. An index for interpreting your chances is provided below. Manually analyzing data: This website provides raw data for determining chances of admission. For example, Yale’s 25th LSAT percentile is 169 and their 75th percentile is 177. This means that only 25% of last year’s applicants were admitted with an LSAT score of less than 169, 50% of last year’s applicants had an LSAT score between 169 and 177, and 25% of last year’s applicants had an LSAT score higher than 177. This same analysis applies for GPA. Basically, it is ideal to have an LSAT score and GPA that are at least over that 25% threshold. Law School Numbers: This site allows applicants to sign up and submit the following information: GPA, LSAT, where applied, and results of application. You can browse this data for each school and compare it to your own data in order to determine your chances of admission on a more micro-level. When predicting admission chances, you should consider these above resources together in a sort of “totality of the circumstances” analysis. So if you have a 40% chance of admission but are clearly above the 25% threshold for a particular school, and others have been admitted with your scores, you should go ahead and apply. Also, consider the multiple LSAT score policy of the schools that you plan to apply to. While the trend is for law schools to consider the highest LSAT score, a handful of schools still average the LSAT scores. You can likely find this information through a quick Google search or by contacting each individual school. Remember, these are just predictions and nothing is guaranteed. As such, you should apply to a variety of schools including “safeties” and “reaches.” If you have a narrow set of “safeties” that you wouldn’t really be happy going to school at, then you need to retake the LSAT. This means you should keep reading. It is important to put your low LSAT score in perspective. The LSAT is not a test like the SAT or ACT that tests your overall intelligence. It is a test that was created in order to assist law schools in filtering applicants. That is the only purpose it serves. Getting a low score on the LSAT does not mean you will do poorly in law school, and it certainly doesn’t mean you will be a bad lawyer. The LSAT, while it purports to test logic and reasoning skills required to be a lawyer as well as be a predictor of law school success, actually tests only one thing—how well you can prepare for the LSAT. This means that with the right study materials and the right level of dedication, you can improve your score significantly by the time the next LSAT administration rolls around. If you are disappointed or reluctant to retake the LSAT because it means you would have to delay admission to law school by one year, don’t be. As a current law student who started law school immediately after finishing college, taking a year off is not a bad thing and I wish that I had! In addition to having extra time to write your personal statement and perfect your law school applications, you can put the extra year to good use. You could work and save money for law school, which will minimize the amount of student loans you need to take out. Or you could do something exciting like travel abroad. You could even purchase law school material and get a head start reading cases and learning the material (note: I would suggest doing this only with federally driven courses such as Civil Procedure or Constitutional Law, since those courses will be similar no matter what law school you attend. Courses like Contracts or Torts will have the same principles which you can start learning, but cases will vary greatly depending on what casebook is used). So you have figured out that you need to retake the LSAT, have put your low score in perspective, and hopefully have been inspired by the video that I shared with you. The next step is to register for the next available LSAT immediately. LSAT test centers in some locations fill up extremely quickly and so it is crucial that you reserve your spot. Remember to use the LSAT Test Center Rater to help you pick the best test center possible. Did your LSAT prep course give you false confidence? If you took an LSAT prep course, this could have actually worked to your disadvantage. Many test takers think taking a prep course is enough, in itself, to guarantee them their desired score. And at over $1,000, why shouldn’t it be? Unfortunately, a prep course is usually not enough. An LSAT prep course can only lay the foundation of your skills and methods. It is critical to foster those skills and methods by taking countless LSAT PrepTests, seeing where your weaknesses are, and using additional books, materials, or tutors to bring your weaknesses up to par. Many LSAT prep courses offer a guarantee where if you did not receive your desired LSAT score you can take the course again. Your lack of knowledge, however, most likely wasn’t the cause of your low score. It was most likely due to the lack of application and practice. If your course didn’t work the first time, don’t expect merely taking the course again to raise your score. Ideally, you should take another LSAT PrepTest under actual conditions to help diagnose what went wrong for you on test day. Analyze this diagnostic test along with your prior PrepTests to figure out what went wrong. Did you have trouble keeping your focus on test day? 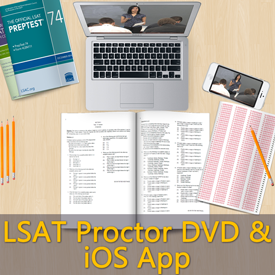 Try the SimuGator LSAT Proctor DVD. Did you have trouble with Logic Games? Try PowerScore’s Logic Games Bible, which will help you create better diagrams and make key inferences more quickly. Did you have trouble with Reading Comprehension? Try reading dense publications such as The Economist, Scientific America, or The Wall Street Journal on a daily basis. While reading, look for things that would be asked on the LSAT such as the main point of the passage, the author’s viewpoint, and things that can be inferred from the passage. Did you have trouble with a particular type of question such as assumption questions or a particular type of logic game? Try Traciela or Kaplan Mastery Book, both which group questions by type, to drill these question types until you get it. Did you have trouble with time management? Set a timing schedule and strictly enforce it. For example, break a logic game section or reading comprehension section into four games/passages and practice trying to complete each game/passage in 8 minute and 45 seconds. For logical reasoning, set specific timing targets such as completing the first 15 questions in 15 minutes. Great time management skills will allow you to not get bogged down on difficult questions. It will force you to keep moving and keep gaining easier points. Did you not do enough full length LSAT PrepTests? Make this your priority, taking at least one PrepTest per week while studying the above material and ramping that number up to one PrepTest every other day in the few weeks before test day. It is crucial to go over completed LSAT PrepTests to further analyze what went wrong. Because the focus here is accuracy, you should do this untimed. The goals are to pinpoint what went wrong, identify weaknesses, and relearn how to solve those problems. Some may be concerned that they will remember the questions that they previously did. Chances are you won’t, but if you do remember them, here is a great technique: cover up the answers (probably only useful for logical reasoning and reading comprehension—the process of elimination in logic games is too important in determining the correct answer) and write a few sentences about what the answer should be. This will force you to learn how to solve questions without being thrown by incorrect answers. If you can paraphrase the answer or something that resembles the answer before getting to the answer choices, you increase your chances of picking the correct choice. Another technique is to write out a short description of why an answer choice is correct or incorrect for every question. This will force you to be analytical and to see the mechanics of why an answer is incorrect. Eventually, you will start noticing patterns in answer choices and will immediately be able to recognize why a particular answer choice is flawed. Don’t forget to analyze questions that you guessed on as you could have easily guessed wrongly. Eliminating as many wrong answers as possible and then guessing is a good test day technique, but it won’t serve you well in your LSAT studies. True LSAT knowledge can only be gained by mechanically analyzing every LSAT question and answer choice. This high level of scrutiny will ensure a level of understanding greater than any you can achieve in a standard LSAT prep course. A low LSAT score can sometimes be explained through the use a document called an addendum, which you can easily attach to your law school application on LSDAS. An addendum should be 1 to 3 paragraphs in length. It should only be used to explain a serious reason for a low LSAT score. Examples of situations where one should send an addendum include: the death of a family member or friend right before the test, a serious medical illness or circumstances during the test, or getting into a car accident on the way to the test. Your dream is to become a lawyer. Yes, this stupid test still stands in your way. But if you are serious about fulfilling your dream, then you must persevere. We hear about too many people who receive their low LSAT score and give up, saying, “Guess law school isn’t for me.” These people are not serious, and maybe it is for the best that they scored low on the LSAT because they certainly would not make it in law school with the attitude of a quitter. Life is full of failures and setbacks. It’s the people who fall, pick themselves up, and keep moving towards their dream that will succeed in life. The fact that you are still reading this article shows just how serious you are. Good for you! I have no doubt that you will be successful. Hopefully this article has inspired you while providing you with practical advice on how to improve your LSAT score and study for your retake. Good luck! Thanks for sharing this information! I guess I’ll get the LSAT books back out no matter how bad it is to retake. You have put lot of efforts into the blog. Wow!! Thank U for believing that what seems impossible can be made possible! I’m a victim of low LSAT score and this blog really gave me a boost of confidence to try harder. Thank you so much.. Thanks, the information is useful! Thanks for putting a positive spin on my crappy score. Look at a school’s MEDIAN numbers for the most accurate gauge of your chances of admission. If your LSAT and LSDAS GPA are both below the school’s medians, your chances of admission are extremely slim even if your numbers are above the school’s 25%ile numbers. The overwhelming majority of people who are accepted with a below median gpa have an above median lsat and vice versa, but with the most consideration given to relative LSAT performance. Writing an addendum to explain a poor performance on the LSAT is almost never necessary.